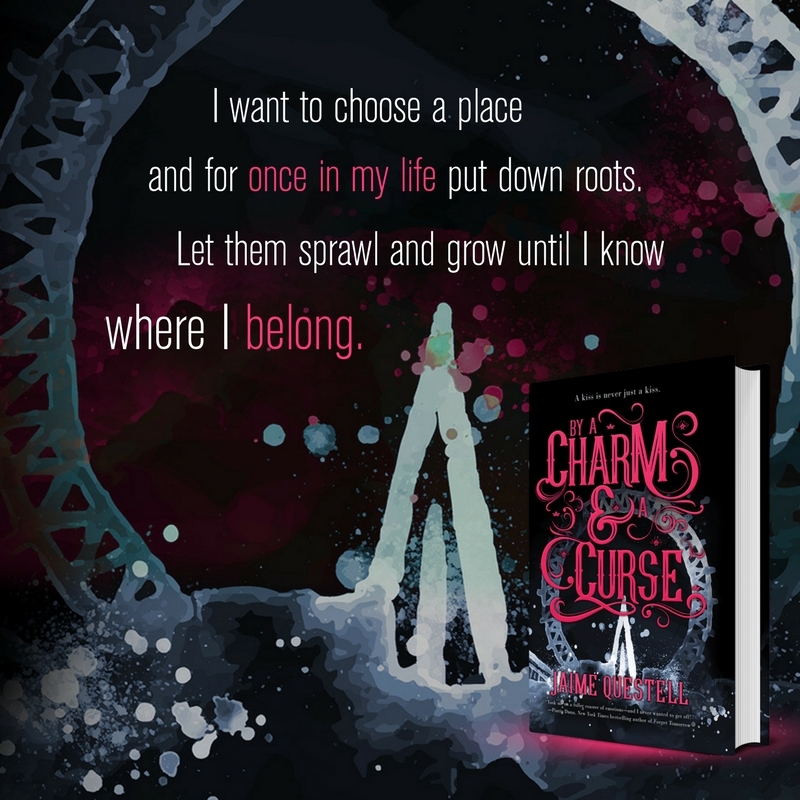 Falling For YA: By a Charm and a Curse by Jamie Questell Blog Tour + Giveaway! By a Charm and a Curse by Jamie Questell Blog Tour + Giveaway! Everything—including his life—could end with just one kiss. Le Grand’s Carnival Fantastic isn’t like other traveling circuses. It’s bound by a charm, held together by a centuries-old curse, that protects its members from ever growing older or getting hurt. Emmaline King is drawn to the circus like a moth to a flame…and unwittingly recruited into its folds by a mysterious teen boy whose kiss is as cold as ice. 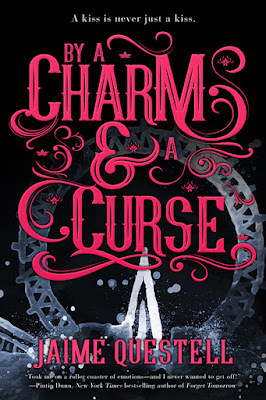 By a Charm and a Curse was quite the charming little book. After Emmaline King goes to a Carnival with her old, new, friend she ends up kissing a boy and becomes trapped by the charm and curse mentioned in the title of the novel. Emmaline was kind of a sad character. She always came across so melancholy. First, because she feels out of place with her former friend and then because she’s trapped in the carnival as the Girl in the Box. It took a while for Emmaline to grow on me, but eventually she did and by the end I was rooting for her to break the curse and the charm surrounding the carnival. While it took a while for Emmaline to grow on me I immediately liked her love interest Ben. He joined the carnival at a very young age and has been enjoying the benefits of the charm like the others. He was also just an all around good person. One of those genuinely likeable people you come across rarely but still know exist. I liked when Ben and Emma were together. They were probably my favorite part of the story. My only criticism is that the story needed more threads. The main thing happening was Emmaline trying to find a way to be free of the curse. And that was the only thing happening. I wish there had been more subplots and other goings on around the carnival. It was a great atmosphere I don’t feel was used to it’s fullest potential. 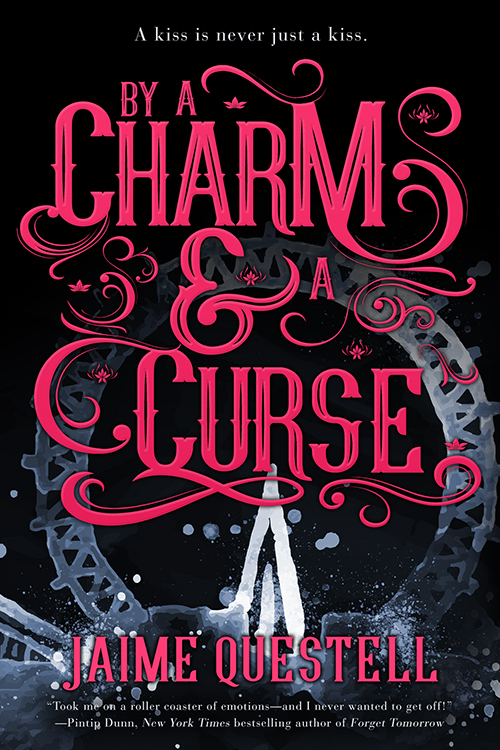 Overall, By a Charm and a Curse was a quick, cute, read with a straightforward plot and likeable characters. If you like novels set in carnivals, or your contemporary stories with a bit of magic this is for you. JAIME QUESTELL grew up in Houston, Texas, where she escaped the heat and humidity by diving into stacks of Baby Sitter’s Club and Sweet Valley High books. 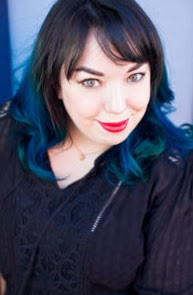 She has been a book seller (fair warning: book lovers who become book sellers will give half their paychecks right back to their employers), a professional knitter, a semi-professional baker, and now works as a graphic designer in addition to writing. Currently, she lives in the suburbs with her family, one derpy dog, and one imperious cat. If she had her way, she’d have an army of corgis, like the Queen of England.